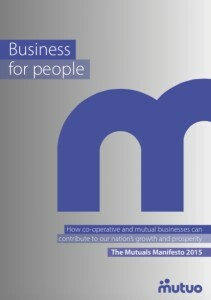 Published today, the Mutuals Manifesto makes 44 policy recommendations for increasing the contribution of mutual business to growth, prosperity and fairness. 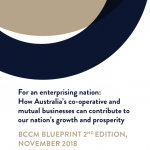 The report proposes a greater role for customer and employee owned businesses that contribute to managing risk, promote consumer choice and spread wealth more evenly. It looks at how mutually owned business can play its full part in Britain’s future. From being the birthplace of this idea, the UK now lags behind most of our global competitors, where mutuals play a greater role in financial services, business growth and public service provision. 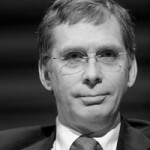 ‘All of our major economic competitors, from the U.S. through the European Union to East Asia, make better use of mutually owned business to drive economic growth and spread wealth. We know that greater diversity of business types will help to protect our economy from damaging shocks such as the financial crisis, yet the UK still remains fixated on a plc mono-culture. 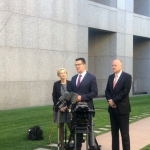 Where business operates in the interests of customers and employees, it deserves the support of politicians. To view the document, please click on the image below.